Celebrating the songs and harmonies of The Everly Brothers, featuring Tennessee Waltz and special guests. Join us for a special evening, with full band, celebrating the songs and harmonies of The Everly Brothers. Tickets £10 in advance, £12 at the door, no fees or charges for online booking through this box office. Starts at 7.30 prompt, bar from 6.30pm. Young persons are very welcome, under 16's must be accompanied. 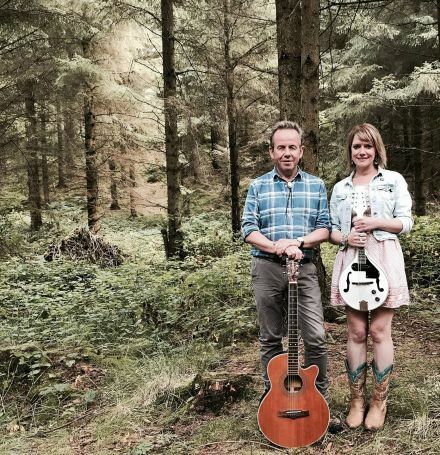 Tennessee Waltz is an acoustic country music duo consisting of critically acclaimed singer-songwriter and guitarist Jimmy Rae and harmony vocalist/guitarist Sarah-Lou Fletcher. With their trademark vocal harmonies and engaging stage presence, Tennessee Waltz have been delighting audiences across the North West since 2015. "All I Have To Do Is Dream" is a joyful and moving concert performance with a six piece band in which Jimmy and Sarah-Lou celebrate the hits and harmonies of their musical heroes, the Everly Brothers including Bye Bye Love, Wake Up Little Susie, Cathy's Clown, Let it Be Me and All I Have to Do is Dream. Only food and drink purchased on the premises may be consumed at our events. Please respect this requirement. All profits go to the upkeep of Heswall Hall and to help fund community projects.